The Neighborhood of Bonnie Brae is located East of University Blvd. between Exposition to Mississippi in Denver, Colorado and has a great Walk Score. With 58-86 Walk Score you will find ice cream shops, restaurants and retail all within a short walk. It is a 10 minute drive into downtown to attend sporting events, plays, concerts and other events. If you work downtown, it is an easy commute. Love shopping - Cherry Creek Shopping Center is only 5 minutes away. There are charming bungalows, tudors and craftsmen homes in Bonnie Brae built from the 1930's to the 1950's and have an abundance of character. Most have been remodeled. The homes range in size from 700 square feet with no basement to over 4000 square feet with many having finished basements. You will find one and two car garages, and on rare occasions a three car detached garage. Homes range in price from $300,000 (not remodeled) to over $1,000,000. You will find ranch and two story homes most are full brick, some with stucco and wood exteriors. Many homeowners have remodeled with with lots of hardwood flooring and tile floors in the wet areas. Most of the kitchens have granite counter tops and stainless appliances and have used the space wisely. 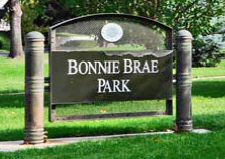 Residents enjoy the Bonnie Brae Park located in the center of the neighborhood. The Bonnie Brae homes for sale Denver CO are served by the Denver Public School District. The schools that will be attended are: Cory Elementary, Merrill Middle School and South High School. 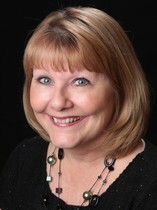 The neighborhood of Bonnie Brae has it's own web site, and for more information - click here.